Caffeine is a mild stimulant that is naturally present in coffee beans, tea leaves, cocoa beans and kola nuts. More than 90 percent of Americans age 18 and older consume caffeine, reports a 2005 study published in the "Journal of the American Dietetic Association." Many people, however, try to limit their intake of caffeine to avoid unwanted side effects, such as jitteriness and insomnia. A variety of caffeine-free soft drinks is available for purchase. Many, but not all, brands of fruit-flavored soda pop are caffeine-free, including lemon-lime, strawberry, grape, cherry, orange and others. Although these soft drinks are caffeine-free, the regular varieties contain a high concentration of sugar. The USDA reports that a 12-oz. can of regular, fruit-flavored soda contains 148 calories and 33g of sugar. Many of these beverages are also available in sugar-free versions that contain artificial sweeteners. Some brands of orange and mixed citrus-flavored sodas contain caffeine in concentrations that exceed the amounts found in cola, so read the beverage's label if you're trying to cut down on caffeine. Ginger ale is a caffeine-free soft drink, available in regular and sugar-free varieties. A 12-oz. serving of regular ginger ale contains 133 calories and 29g of sugar, according to the USDA. Most brands of root beer are caffeine-free, although some contain caffeine. A 12-oz. can of regular root beer has 152 calories and 39g of sugar, reports the USDA. Sugar-free varieties of root beer typically have no calories, and the artificial sweetener used varies from one brand to another. Tonic water is another caffeine-free soft drink, and is available in regular and sugar-free varieties. 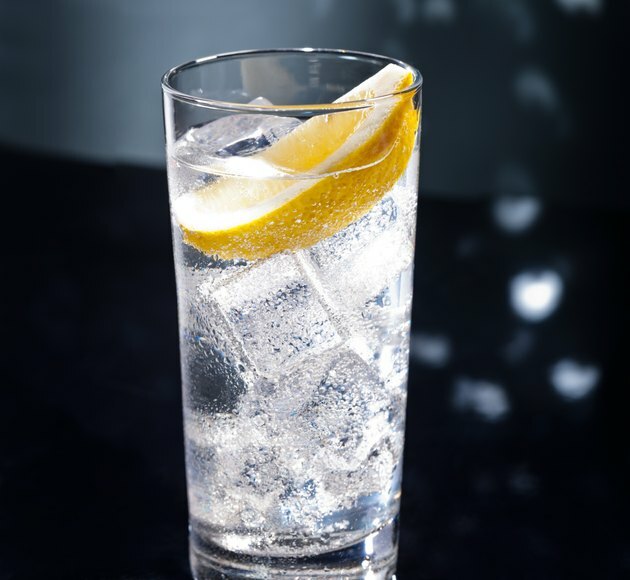 Regular tonic water contains approximately 124 calories and 32g of sugar per 12-oz. serving, according to the USDA. Cream soda is a vanilla-flavored soft drink, available in regular and sugar-free varieties. Most brands of cream soda are caffeine-free. The USDA reports that a 12-oz. serving of regular cream soda contains 189 calories and 40g of sugar. Carbonated water, including unflavored, sparkling mineral water, club soda and seltzer water, contains no calories, caffeine or sugar, according to the USDA. Flavored, carbonated water contains artificial flavoring and sugar or artificial sweetener.